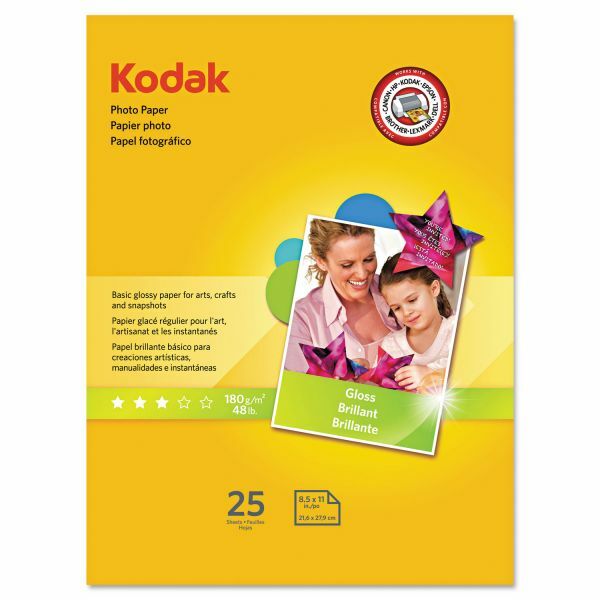 Kodak Photo Paper, 6.5 mil, 8 1/2 x 11, Glossy White, 25/PK - Photo Paper produces affordable color photos using advanced Kodak photo and color technology. Perfect for everyday printing. Prints dry instantly and won't smear or smudge. 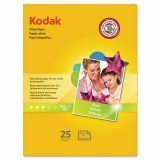 Works on all inkjet printers.